Color-Tech Graphics - Logo for a high quality lithographer. Client: Color-Tech Graphics, New York, NY. ART(212) - Logo for ART(212) Contemporary Art Fair. Client: Ramsey Art Fairs, New York, NY. Solo Editions - Logo for publisher of promotional booklets for photographers and illustrators. Client: Solo Editions Inc, New York, NY. Bring Afica Home - Logo for an African-American home furnishings company. Client: Bring Africa Home, Brooklyn, NY. Janet Brennan Iridology - Logo for a practitioner of alternative medicine in which patterns, colors, and other characteristics of the iris are examined for information about a patient's systemic health. Client: Janet Brennan Iridology, Brooklyn, NY. Knoll Office, Studio & Textiles - Corporate division logos for a furniture manufacturer. Client: Knoll International, New York, NY. WebCredit - Logo for an internet payment service provider for small-ticket transactions. Client: WebCredit, Boston, MA. The Nightingale-Bamford School - Logo for independent K-12 girls school known for its entrance with three blue doors. Client: The Nightingale-Bamford School, New York, NY. 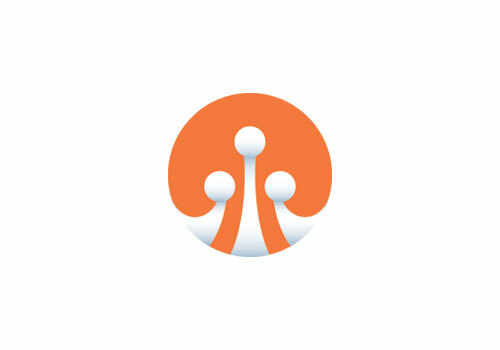 Business Technology Partners - Logo for a three-partner internet technology consulting firm specializing in customized solutions for executives and business owners. Client: Business Technology Partners, New York, NY. BookWire - Logo for an online publishing resource. Client: Bookwire, New York, NY. Martin Hurwitz Associates - Logo for a talent agency. Client: Martin Hurwitz Associates, Beverly Hills, CA. 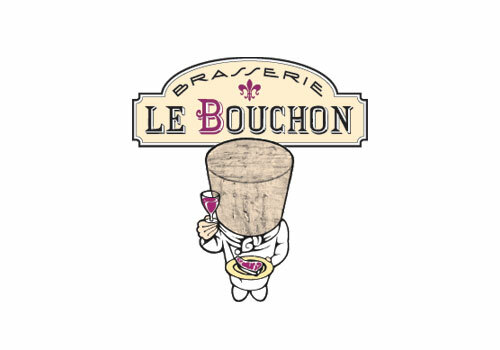 Brasserie le Bouchon - Logo for a French restaurant. Client: Brasserie le Bouchon, Cold Spring, NY. HarperFlamingo - Logo for an imprint of HarperCollins. Client: Harper Collins Publishers, New York, NY. Chroma, Hue & Value - Logo for an ink swatch manufacturer. Client: Chroma, Hue & Value, New York, NY. Rufus Publishing - Logo for a publisher of nature and wildlife books. Client: Richard Ballantine, Bearsville, NY. Butler Rogers Baskett Architects - Logo for an architectural firm known by their initials BRB. Client: Butler Rogers Baskett Architects, New York, NY. Stephen Wilkes Photography - Logo for a photographer. Client: Stephen Wilkes Photography, New York, NY. 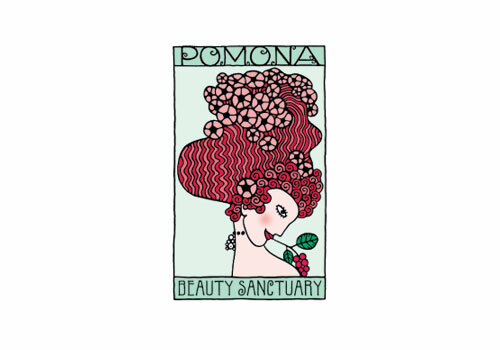 Pomona Beauty Sanctuary - Logo for a hair and beauty salon. Client: Pomona Beauty Sanctuary, Brooklyn, NY. OD&P Construction - Logo for a general contractor / construction management firm. Client: OD&P, New York, NY. Youth Foundation - Logo for a partial-tuition grant provider. Client: Youth Foundation:, New York, NY. Palestrini Post Production - Logo for a commercial video editing house. Client: Palestrini Post Production. The Poplar Agency - Logo for a bi-coastal specialty book packager. Client: The Poplar Agency, Brooklyn, NY / Hollywood, CA. Buckley Works - Logo for a Public Relations firm. Client: Buckley Works, Brooklyn, NY.